Mersberger Financial Group, Inc. is a financial services firm committed to helping clients organize all areas of their financial lives. The financial advisors are fiduciaries acting in the best interest of our clients. Our service begins by discovering each client’s unique situation as well as identifying their values, goals, and both short and long-term objectives. Each client then receives a holistic approach that focuses on aligning their most deeply held values and goals with all aspects of their specific financial plan. We believe that in order for each client to potentially attain financial and personal success, a customized financial plan should be developed. This plan addresses the five essential areas of planning; money management, financial planning, estate planning, tax-efficient strategies, and asset protection. Mersberger Financial Group then offers professional recommendations designed precisely to help each client work toward attaining their ideal life. Mersberger Financial Group’s services are catered to individuals as well as businesses/business owners. The associates of Mersberger Financial Group focus on working with high net worth clients, serving in the role of their trusted advisor. Mersberger Financial Group acts as the “quarterback” of clients’ financial lives and works in unison with the clients’ other professionals, including attorneys, tax specialists (CPAs), and consultants. 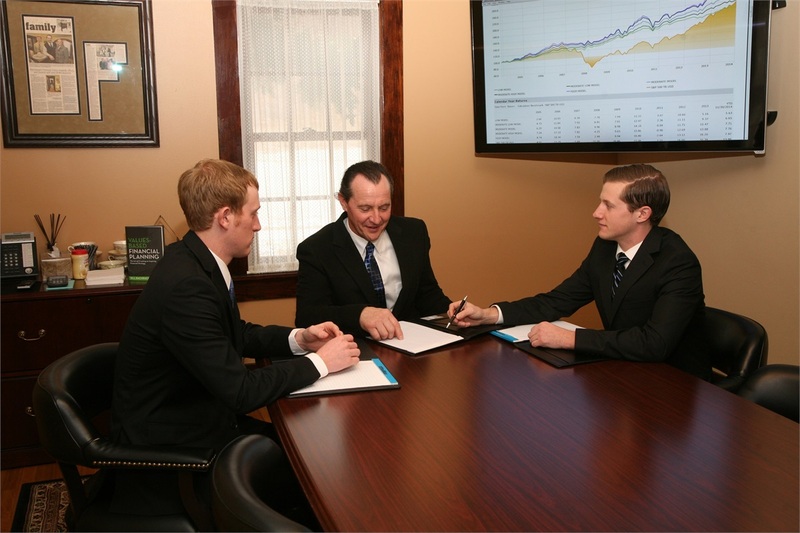 Mersberger Financial Group also utilizes subject matter experts in each of the essential areas of planning. This is done to help each client reach the greatest probability of organizing their financial lives and living their ideal life. The result of this approach is a customized plan that caters to each client’s specific needs and helps them to work towards achieving their financial and personal goals. Mersberger Financial Group was founded in 1994 by Peter and Marilyn Mersberger and today consists of a team of professionals dedicated to helping clients achieve financial success. Mersberger Financial Group is equally owned and operated by Peter and Marilyn Mersberger, and their sons, Joshua and Zachary. Peter, Joshua, and Zachary serve as Financial Advisors and Joshua and Zachary are both Co-Chief Executive Officers and Chief Operations Officers. Marilyn continues her role as Chief Financial Officer, HR, and Office Manager. Mersberger Financial Group is headquartered in a historically renovated 5500 square foot office building, originally constructed in 1846 and a part of the Cole Brothers Historical District. This building is a national historical landmark and received numerous accolades and awards for refurbishment and preservation. Our company is based on the principle that education and an understanding of your current financial and estate planning situation is vital for you to make prudent decisions concerning your financial future. We pride ourselves on our commitment to client service, as well as our dedication to maintaining high ethical standards. We encourage you to explore our site and learn more about the services we provide. If you have any questions about your current financial situation or wish to schedule an appointment, please go to the “ Contact Us” page on our website or call us at (920) 467-4909.